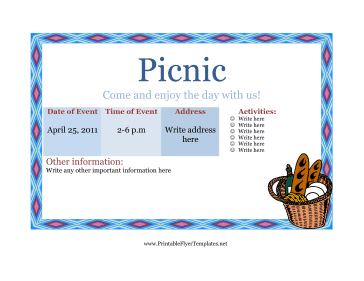 This classy picnic flyer has a bright diamond border and several spaces for important details about the event. It also has a basket of picnic foods in the corner. This flyer can be posted where potential attendees can see it, or it can be sent out to each person who is invited.